Does your pup make the cut? Making your summer vacation destination feel like a true home away from home requires the people—and pets—that you love most. Though furry friends might prefer the perks of first class to crates and kennels, airlines have been largely accommodating in recent years, making trips for the whole family—Fido included—as comfortable and convenient as possible. 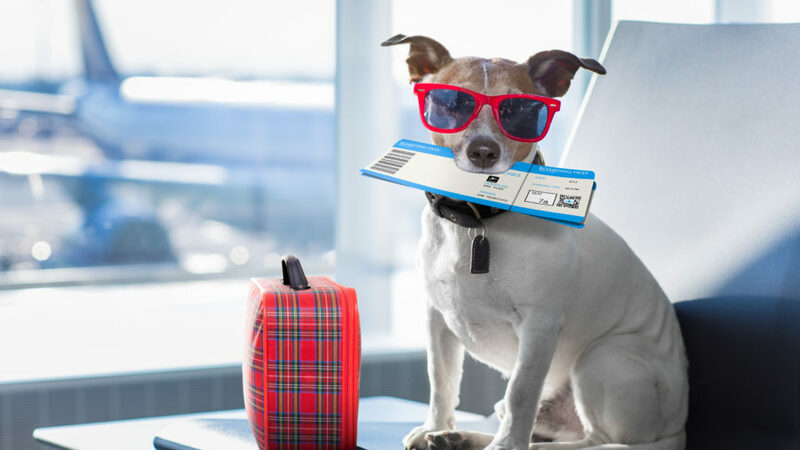 As of this summer, however, some airline companies are making restrictions when it comes to pet travel, citing a spike in in-flight pet incidents and safety concerns as reasons to pull on the reins. Check out each airline’s new restrictions below to see how your travel plans might be affected. Starting on July 10, the Atlanta-based airline is implementing new limitations regarding emotional support animals, which unlike service animals, are not specifically trained for people with disabilities, but provide comfort nonetheless to people struggling with mental and emotional disorders. Emotional support animals will now be limited to one per passenger. Delta also added a new animal to its “Not Permitted” list: “pit bull type dogs,” including pit bull mixes, which the airline says is for safety reasons for other travelers and airline employees. As of July 9, the airline began allowing pets in cargo again, after a brief two-month pause following a handful of unfortunate pet incidents (a few cases of pets being loaded onto the wrong flights, and one pet death in an overhead bin). The airline partnered with American Humane to revamp its pet safety policies. However, the airline has also implemented restrictions on certain dog breeds—including pugs, bulldogs, and some spaniels—due to safety concerns. American Airlines introduced its new policy in May, limiting emotional support animals due to potential safety issues for airline staff and other fliers. According to the airline, the number of service and support animals traveling on their flights jumped up 40% in just one year, prompt-ing a stricter policy on animals onboard. Starting July 1, the airline began prohibiting a host of species from traveling with passengers, and is now also requiring appropriate documentation prior to travel. The New York-based airline announced last month that the only pets allowed to travel on their aircrafts going forward are dogs, cats, and miniature horses. As of this week, bringing along emotional support animals also requires submitting documentation ahead of time, including a note from the vet and the signature of a medical professional approving of your pet’s status as a support animal.